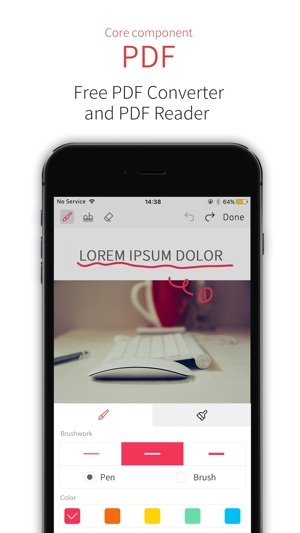 Rated as ”Best Office App for Mobile” ”the Easiest Word Processor on Phone” by Millions of Users Across the World. 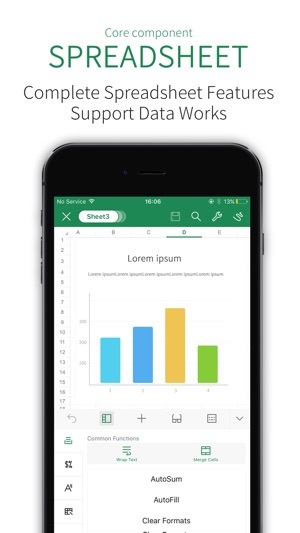 WPS Office is an all-in-one complete free office suite on iPhone and iPad, integrates all office word processor functions: Word, PDF, Presentation, Spreadsheet , Memo and Docs Scanner in one application, and fully compatible with Microsoft Word, Excel, PowerPoint, Google Doc and Adobe PDF format. 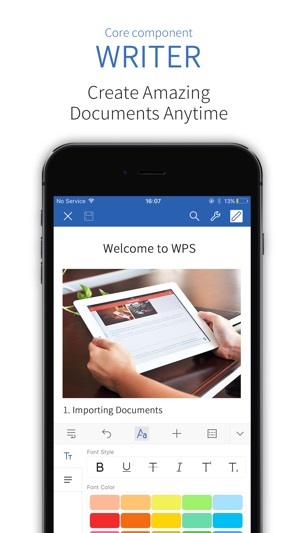 The aim of WPS Office is to provide you one-stop working solution since 1989. Various of office tools and unique and intuitive UI design ensures you enjoy the best mobile office experience. 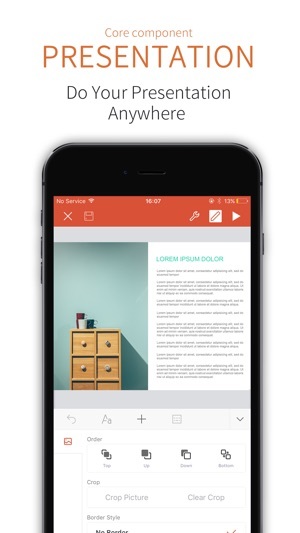 You could easy to do all office word processing on-the-go on iPhone, iPad and other portable devices. 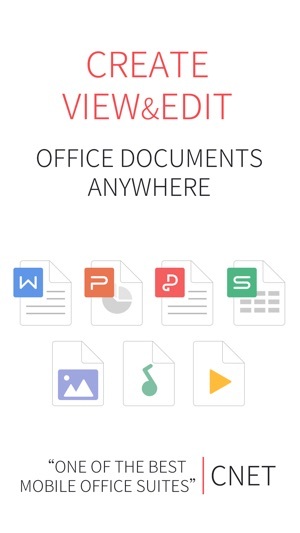 WPS Office allows you can create, view, edit and share office word documents and homework as handy as you need while out of office, in class,traveling, before bedtime or whenever and wherever you want. Auto-renew Subscription Cycle: There are 3 different lengths of auto-renew subscription cycle, including 1 month, 3 months, and 1 year. Please choose the subscription cycle you need and confirm before payment. Payment: Payment will be charged to your iTunes、App Store account at confirmation of purchase. Cancellation of Subscription: You can turn off auto-renew at any time from your iTunes/App Store account settings; you must do so at least 24 hours before the end of the current subscription period to avoid being billed for the next cycle. No cancellation of the current subscription is allowed during the active period. You can now initiate a conference not only in Presentation, but also Writer, Spreadsheets, and PDF. Better UI: interfaces of Scanner filters, conference initiating, etc. Operation and feature improvements: Recently open, Audio file, etc. This is one of the best apps that I ever downloaded. I was simply searching for an app that I could use to edit a word document on my iPad for work. Microsoft wants you to pay for a subscription, I ran out of space in my Google Docs and they wanted me to pay for a subscription, and I downloaded and tried a myriad of other apps that didn’t work well. Many of them provided the ability to view and manage documents, but not edit them. 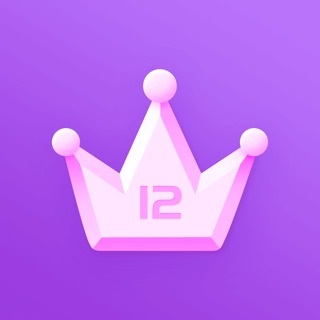 I stumbled on this app, and I was instantly amazed. Very simple UI, immediately available for use without any complicated registration, and most importantly, it’s a great word processing application that is fully compatible with Word. 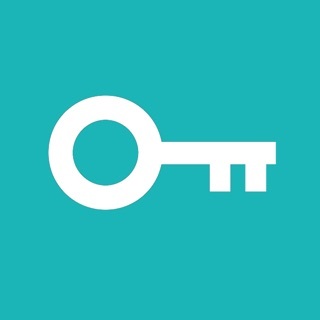 This app saved me by allowing me to complete an important document on the go, which was under an urgent deadline. Further, I looked into the company that makes this software, and they are legit! They’ve been developing this software since 1997, with significant funding from their chief software architect. If they keep this up, they have a chance at finally supplanting Microsoft from the throne that they’ve held for so long. Great stuff! 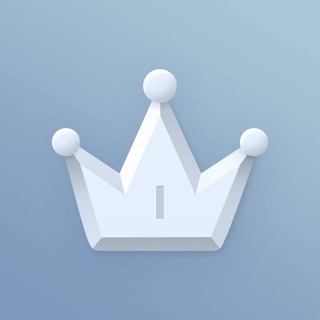 I started using the Kingsoft Office App on my Kindle Fire a few years ago. My favorite part of the Word section was being able to open several documents and leave them open in a tab view. I was disappointed that feature doesn’t exist in the iPad app. Now that I have forced myself to learn to use it on my iPad I’m a little happier with it but I still miss that one feature which still exists on the Fire tablet. This iPad Pro is just so fast I end up using it almost exclusively so I’ve learned to cope. I don’t want to pay $10 a month for Microsoft and the other word apps are just not as user friendly. 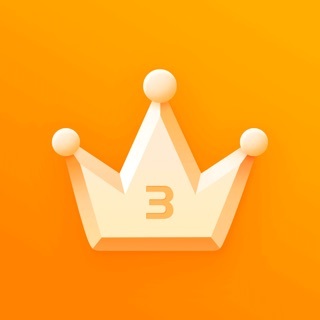 This is hands down the best app for me.